Chef Art Smithof Chef Art Restaurant Company says, “If you’ve got food, you’ve got life.” Turns out the people of Texas agree. The Fort Worth Alzheimer’s association wants to ignite your passion for food with a two-day event that. ABLAZE will be all about the meat. This whole steer roast event will begin with a VIP sponsor night on Thursday night, March 21. The following night will feature dinner and entertainment on. They are super excited to be able to invite the community to this live fire, outdoor cooking experience at the spectacular Firestone & Robertson Distilling Co., Whiskey Ranch. ABLAZE sponsors will have the opportunity to enjoy the Thursday night pre-event called “FIRE IT UP”. Guests will be able to talk with the chefs, including Lou Lambert, as they prepare the steer to be roasted over an open fire. Whiskey, wines and delicious light bites will be served. Then, on Friday, March 22, during the main event, guests will be a part of a revolutionary dining experience featuring the whole steer roast, specialty food pairings, fine wines, craft beer and of course, whiskey. The Alzheimer’s Association wants to see a world without Alzheimer’s disease and events like this aid in that goal. Their mission is to eliminate Alzheimer’s disease through the advancement of research; to provide and enhance care and support for all affected; and to reduce the risk of dementia through the promotion of brain health. 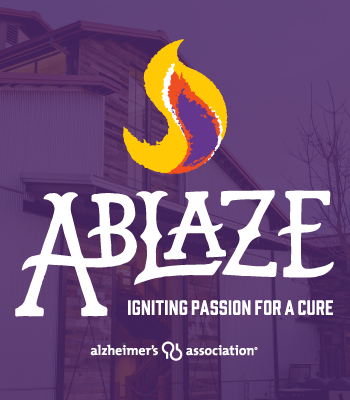 Locally in the Fort Worth Chapter, the Alzheimer’s Association is ensuring that no family faces this disease alone and with events like ABLAZE we can all be apart of the solution. For information on this event and sponsorships, contact Liz Miller at 817-336-4949 and Like the event on Facebook Ablaze – Igniting Passion for a Curefor updates. The post ABLAZE-Igniting Passion for the Alzheimer’s Association appeared first on Fort Worth Woman.